"Best Snorkeling IN Cozumel" - family owned & operated for 20 OVER years. small group & private snorkel tours in Cozumel. Snorkel with our Cozumel Snorkel and Cielo tour, where you will discover Palancar Reef, Columbia Reef & El Cielo. Come Snorkeling in Cozumel with the #1 Cozumel Snorkel and Cielo Tour. Discover the best reefs in Cozumel, such as Palancar Reef, Columbia Reef & our secret reef by El Cielo where your ft away from coral, sea fans, sea turtles & other sea creatures. Afterwards relax in El Cielo, which is 3-4 ft crystal clear waters where you'll relax and eat/drink in El Cielo , which means "Heaven". Transportation from cruise pier/resort, DRINKS (Corona, Soda, Water & Tequila), FOOD: Ceviche, Guacamole, Fruit 4hrs. $50 Info & Book Let's Go! Snorkelling Cozumel is such a great snorkeling tours Cozumel adventure to Cozumel reefs. Tiger has the best Cozumel snorkel and Cielo party tour in Cozumel Mexico. Snorkel to have the best trip in Cozumel Island Mexico. Where to snorkel Cozumel? We have a great guide on where to snorkeling tour Cozumel. Read or snorkel Cozumel blog on where to snorkeling in Cozumel for an amazing Snorkel adventure. Cozumel snorkeling has never been so much fun to Snorkel in Isla de Cozumel for a Cozumel snorkeling trip. Best snorkel tour in Cozumel is with snorkelingincozumel.com where you can go snorkeling to the best snorkelling Cozumel Mexico snorkel destinations to snorkel at the best Cozumel reefs. Come Snorkel! Its the best destination to snorkel & dive & go snorkel with the people who were rated #1 for snorkeling in Cozumel. We <3 Snorkeling en Cozumel! Info & Book Let's Go! Why snorkel Cozumel? Because Cozumel is the best destination to snorkel or scuba dive. Where to snorkel tours in Cozumel? We take our Cozumel tourists to only the best reefs in Cozumel that have the beat coral reefs, sea life, sea turtles and much more sea creatures in the Cozumel coral reefs. Snorkel is an amazing experience for the entire family can snorkel tours Cozumel Mexico with our Cozumel snorkel tours. TripAdvisor has rated Cozumel snorkel the best snorkel tours Cozumel Island Mexico and they highly recommend booking a snorkel tour Cozumel with us. Our dedication is for our Cozumel cruise ship passengers, Cozumel tourists, Cozumel locals, and all Cozumel vacation visitors who are looking to cozumel snorkel excursions Cozumel with the best snorkeling Cozumel has to offer. Snorkeling Cozumel TripAdvisor has name Snorkel the greatest Cozumel snorkel operator to snorkelling in Cozumel with. Want to learn how to dive in Cozumel but don’t want to get certified or go through the Cozumel open water course. Snuba in Cozumel is the perfect opportunity for you to start venturing the Cozumel reefs without having to learn how to dive in Cozumel Mexico. Snorkeling Cozumel is much better than other snorkel or other supposedly dive destinations. Cozumel offers the best dive destination What to do in Cozumel during your trip to Cozumel Mexico? Since our Cozumel tours are private/small group tours, availability is scarce. Booking in advance is highly recommended. Experience the ONLY Cozumel Sunset Tour in El Cielo. 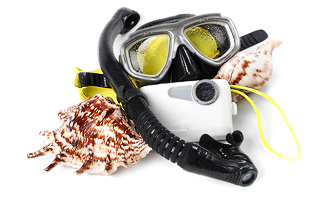 We are the most trusted Cozumel snorkel shop in Cozumel and are always happy to advise anyone what to do in Cozumel. So if you’re looking for a Cozumel excursion or Cozumel tour or looking for things to do in Cozumel we will help you even if we don’t get your business. 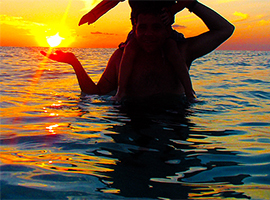 We love to help people find things to do at Cozumel Mexico. Snorkel with a snorkel adventure in Cozumel that you will never forget. Snorkeling Cozumel is a spectacular experience and we know exactly where to best snorkel tour Cozumel so we take you to the best snorkel tour in Cozumel reefs for a venture underwater in Cozumel Mexico to the best Cozumel reefs and best Cozumel snorkel spots. Go snorkeling at Cozumel for an amazing journey into the Cozumel coral reefs to explore Cozumel sea creature and colorful reefs in Cozumel Island. Learn how to snorkel at Cozumel for an amazing exploration of Cozumel reefs while snorkeling at Cozumel. Our Cozumel snorkel guides have their Cozumel dive master certificates and took the Cozumel diving courses to become certified in diving in Cozumel for your safety when snorkeling Cozumel. Snorkel at Palancar reef, or snorkel at Columbia reef, or snorkel el Cielo Cozumel, or you could even snorkel Palancar reef Cozumel with our best snorkel tours in Cozumel guides that have years of experience for snorkeling Cozumel with our Cozumel snorkel tours. 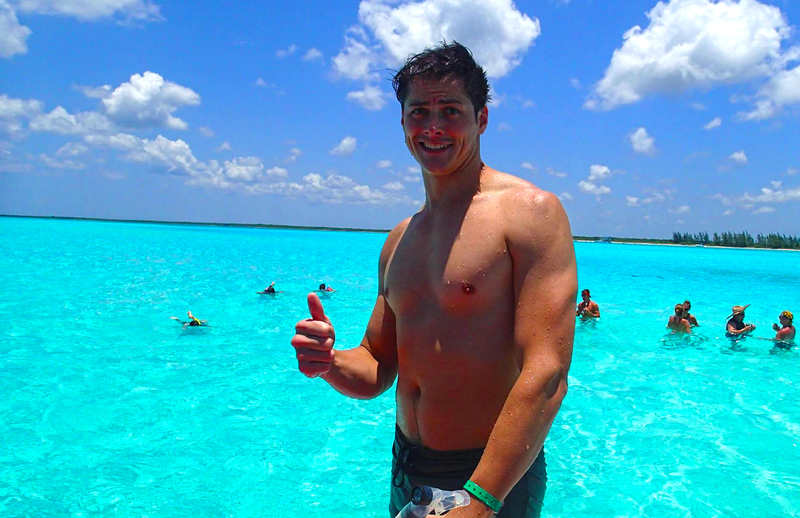 We can not recommend this snorkel tour enough! We heard amazing things about them, and even then they went past our expectations. We will never book through the cruise lines again to be stuck paying a lot more with crowds of people. A great cozumel excursion to go on, is the cozumel jeep tour for an adventure to the other side of Cozumel Island Mexico. This Cozumel Jeep & snorkel tour will take you the the most breathtaking beaches in Cozumel to go snorkelling cozumel beach. This is where to go snorkeling Cozumel mexico, with our nest cozumel guides who provide a fantastic jeep tour cozumel thats fun, exciting, and adventurous, to discover Punta Sur Park Beaches and snorkel tours Cozumel at the Punta Sur Beach. You'll get to visit the Punta Sur Park lighthouse where youll take pictures of the Cozumel ocean front beach and lagoon. Explore Punta Sur Eco Park with this Cozumel Jeep TOur that takes you snorkeling cozumel punta sur park beach, where you cozumel jeep and snorkel tour guide will take you out to the reefs from the gorgeous beaches of Punta sur park cozumel. Our cozumel TripAdvisor reviews for Cozumel Snorkel have high customer testimonials for your TripAdvisor Snorkel Tour reviews. Want Cozumel Snorkel Reviews? Well we have the best Snorkeling Cozumel has to offer and our customers have ranked us #1 in Cozumel for our best Cozumel Snorkeling Tours in Isla De Cozumel. Snorkeling at Cozumel is the most magnificent experience ever becuase you will be able to capture the most beautiful Cozumel sea creatures at the amazing coral reefs in Cozumel Island Mexico. There is no other place in th world that has sucuh amazing coral reefs like Cozumel has. Cozumel has the second largest coral reef system in the world. Snorkeling Cozumel is one of the most exciting adventures Isla de Cozumel offers and we are more than happy to take you on a snorkel adventure in Cozumel. Our Snorkel Tours in Cozumel are just spectacular snorkeling at cozumel, you will want to do it over and over again! Where to snorkel Cozumel? We have the best places where to snorkel in Cozumel that take you to the most mesmerizing snorkeling spots in Cozumel. Our Private Snorkel Tour Cozumel takes you to Tigers secret coral reef in Cozumel where there are sea fans, Cozumel sea turtles, Cozumel reefs, and lots of sea life in Cozumel Island Mexico to observe and discover during your trip to Cozumel Mexico. So lets go snorkeling at Cozumel with our fun and exciting snorkel trips in cozumel with Tigers Adventures and the legendary Tiger himself and book with us to save money on your Tiger Cielo Tour in Cozumel. Book your Snorkeling Adventure with the #1 Private Cozumel Snorkeling Operator in Cozumel to help save you TIME & MONEY on your Trip to Cozumel Mexico. Rated #1 SMALL group SnorkelING in cozumel MEXico! Our family has been providing the best snorkeling in Cozumel for over 20 years. We are known as the #1 small group snorkel tour operator that takes you to the best reefs Cozumel has to offer. Our small group Snorkel tours in Cozumel, only have less than 12 people on our large boats that fit 20-25 with a bathroom. We pick you up from your cruise pier, resort or the ferry and drop you off there as well. We are the only Cozumel snorkel tour operator who does this. We have never had any guests miss their cruise ship, and this is just a rumor created by the cruise ships to scare their guests into booking only with them. We only visit the best reefs away from the cruise piers, and take you to Palancar Reef, Columbia Reef, El Cielo Sandbar and some hidden reefs that have many sea turtles. We own and operate our own Cozumel snorkel tours, and make sure that our guests always have an amazing time in Cozumel Mexico. If you have 8 or more people in your group, we will take you on your own private snorkel tour because we do not put more than 12 people in our large snorkel boats. We are always concerned about our guests comfort, safety and make sure our guests have an amazing time no matter what. Even locals choose us because we are the best! 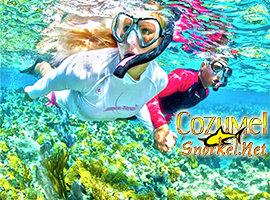 Snorkel Cozumel with our family to get the best personalized snorkel tour in Cozumel and visit the best reefs Cozumel has to offer. As you may know Cozumel Island is the best destination to dive & snorkel, so our Cozumel Snorkel tours bring you the best Snorkeling Cozumel has to offer, as well as other forms of Cozumel Snorkeling adventures. Cozumel Snorkel has the lowest prices available for every snorkel tour in Cozumel or excursions in Cozumel, GUARANTEED! Only ask for a small deposit to hold your place on our nice and large boats that are very well maintained.. The 20% deposit taken off the balance and paid when you arrive. If you can't make your Cozumel snorkel tour for any reason, we will refund your deposit 100%. We PROMISE that you "WON'T MISS YOUR CRUISE"! Our family has never had any guests miss their cruise, and this will never happen because our tours are always based off of the cruise schedules. We make sure to keep all the same cruise ship guests together and always have 2 standby boats incase one of our boats have problems, but all of our boats just got remodeled and have brand new engines put in 2014. We are the best family owned snorkel tour operator for a reason, and we look forward to taking you on our famous snorkel tours in Cozumel! Please Contact Us if you have any questions!